Track how much time you spend on projects and tasks no matter where you are. Use the web app or track your time on the go using the timr smartphone app. Start and stop entries with a simple tap or click. At the end of the day, you’ll have a list of all time entries associated with your projects. If necessary, you can add time entries afterwards as well. Record project time according to your own preferences: timr can be customised to your needs and will fit you to a T.
Want to know how far along your project is and how it’s doing? 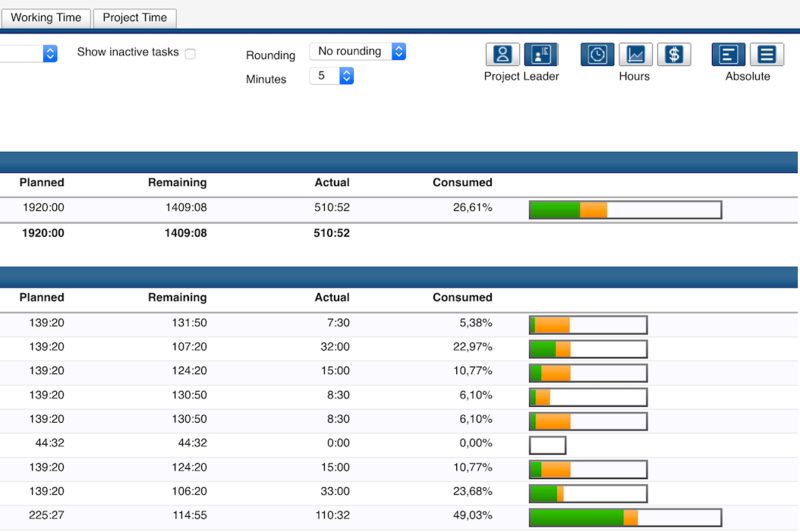 Use timr to generate a detailed project time report. 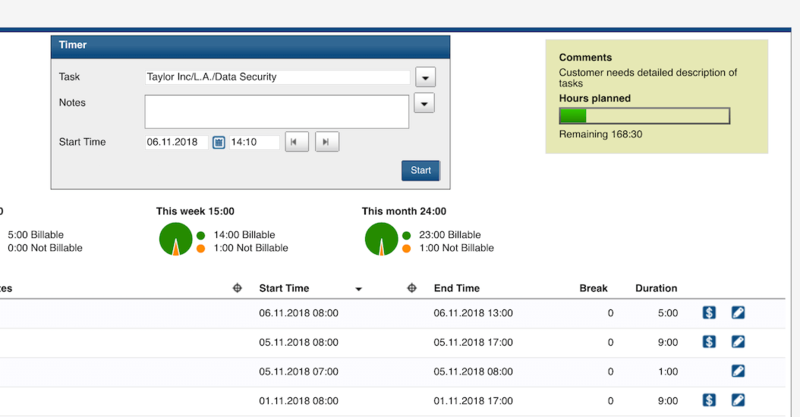 Get reports for various time frames, whether it’s just one day, a week or a whole month you want to get an overview of. With timr, you’ll always know how much time you’re spending on each project. 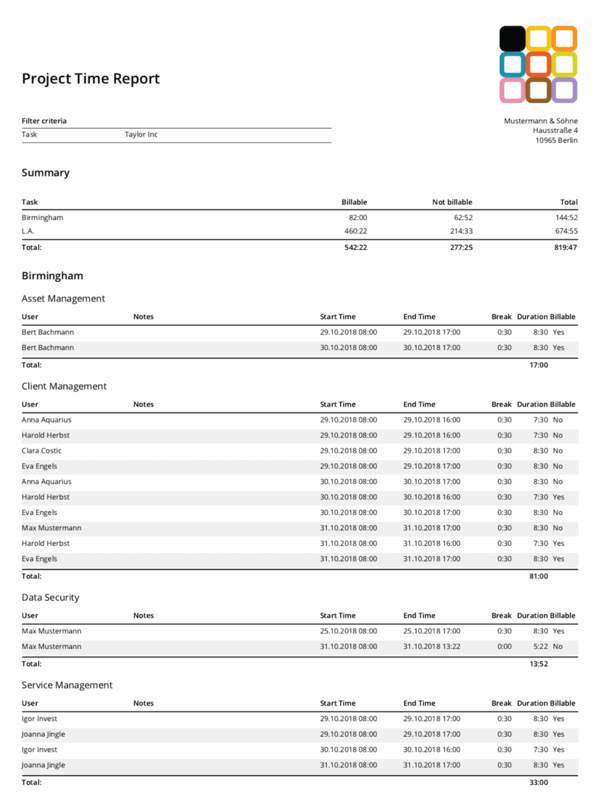 You can also create budget reports to get a clear look at each project’s expenses. Track project times whenever and wherever, online or offline. No more retracing your steps to add missed time entries because your timr app is always with you! 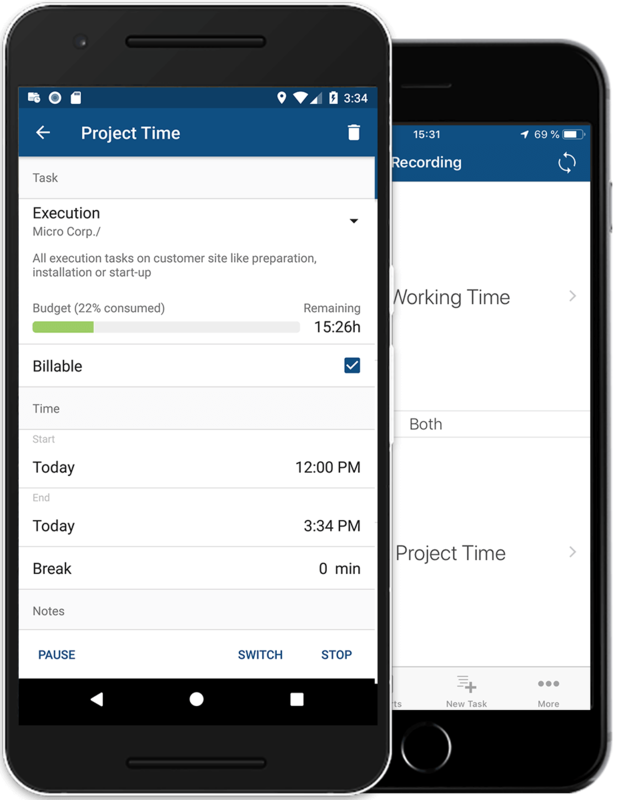 Use the timr app for your project time tracking needs on your smartphone. The app is available for iPhone, Android, BlackBerry and Windows Phone. The app’s GPS location tracking feature helps you with your scheduling. When a customer needs something done on-site, simply dispatch the employee who’s closest to the customer’s location. Does a project have you working on-site or being out and about all day? No problem! Simply use the timr app to track your project work time wherever you are and in real time. 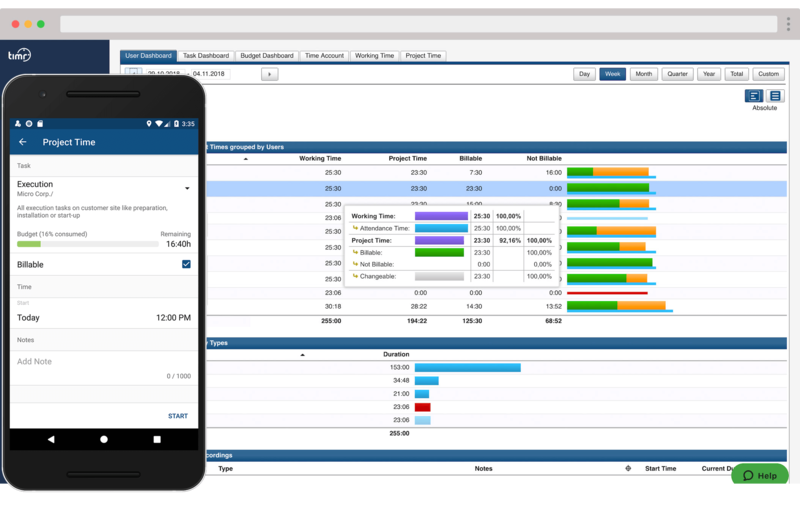 The timr budget dashboard puts your project’s expenses at your disposal. You can check how much time has been spent on a project and the costs you’ve incurred so far. 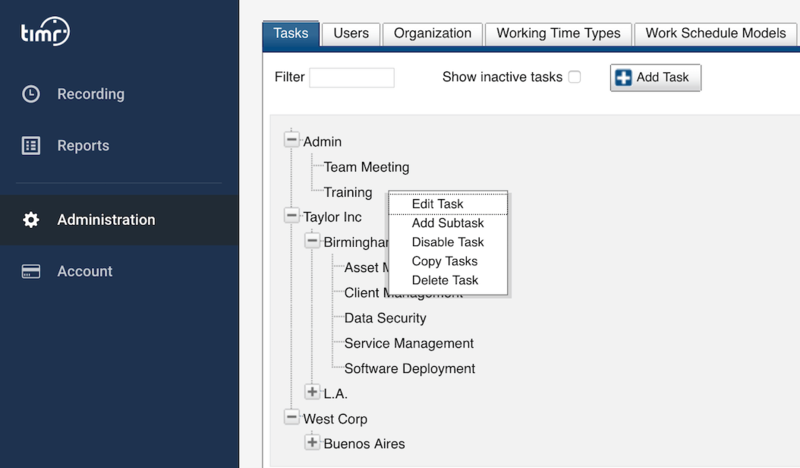 Sort budget summaries by project, by tasks or by employee to get detailed insights. Try project time tracking for free — no commitment! Project time tracking should be a piece of cake. See for yourself how simple and easy it can be when you use timr!